My organization offers certification to become a Spikey System instructor. 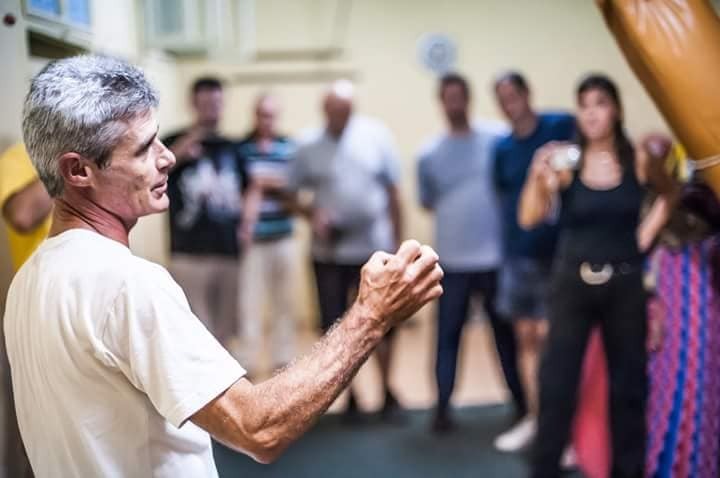 Veteran, recognized martial arts teachers may approach us to undergo an intensive short course, following which they can become a member of Spikey-Tec International. We have members and seminars in Israel, the United States, Germany, France, Spain, Belgium, Serbia, Luxembourg, Brazil and more. Even the IDF used to offer our Spikey classes. Certified Spikey Instructors operate independently within their own schools and organizations. They are not bound by restrictive contracts. They are merely a part of a family which shares the knowledge of the Spikey System, and also uses it as an effective business model for teaching women’s self-defense. The martial arts teachers who join us do not change their martial art. Instead, they add to the outlet and appeal of their business, a proven and useful method to work with, which is highly attractive to women who live in our day and age. Spikey and Kung Fu instructional programs are available worldwide in dedicated courses. One could study and experience our unique Kung Fu and learn the Spikey System for personal benefit or in order to certify as an instructor. Reach out to us for more details!! Consider things like distance, timing, body-positioning, agility, rooting, speed, spirit, powers, respect, and humility. These are all things we teach and should be expected from a certified teacher of a serious organization. For the first time, our tradition opens its doors for international students and offers such treasures to you. Reach out! And take the opportunity.